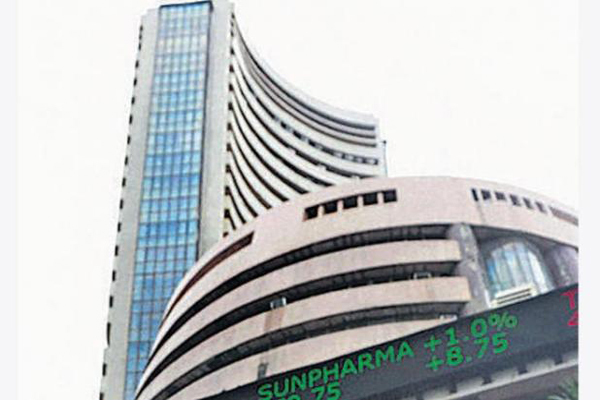 Mumbai(PTI): Markets continued their record- setting trend for the second straight session with the BSE Sensex soaring around 135 points to all-time high of 34,638.42 even as TCS posted disappointing December quarter earnings. Also, the broader NSE Nifty traded at an all-time high of 10,690.25. A firm trend in the Asian region influenced the market sentiment, a broker said. The 30-share index advanced 134.93 points, or 0.39 per cent, to trade at an all-time high of 34,638.42, surpassing its previous high of 34,565.63, recorded on January 10. Yesterday, the gauge had gained 70.42 points to close at record high of 343,503.49. All the sectoral indices led by metal, consumer durables, oil & gas and capital goods were in the positive zone, rising up to 0.71 per cent. The NSE index Nifty too hit a new high of 10,690.25 by gaining 39.05 points, or 0.36 per cent. It also breached previous record of 10,664.60 (intra-day) hit yesterday. Stocks of country’s largest IT firm Tata Consultancy Services fell 1.20 per cent after the company yesterday reported 3.6 per cent fall in net profit for the December quarter. Infosys was trading higher by 0.22 per cent ahead of Q3 earnings, to be announced after trading hours today. The big gainers that lifted the key indices to new highs were ICICI Bank, HDFC Ltd, Kotak Bank, Tata Motors, Reliance Industries, L&T, Axis Bank, Wipro, SBI, Tata Steel, NTPC and HDFC Bank, gaining up to 1 per cent. Asian markets were trading with gains after Wall Street hit fresh all-time high yesterday. Hong Kong’s Hang Seng was up 0.49 per cent, while Japan’s Nikkei rose 0.04 per cent and Shanghai Composite Index gained 0.08 per cent in early trade today. The US Dow Jones Industrial Average ended at record high by rising 0.81 per cent.